For the last few weeks pictures rolled in on social media of The Butcher's Son. Matt and I put it on our list of must try places with each new photo that we saw. a 100% vegan deli - yes please! We got there at lunch time on a dreary Saturday and the small spot was packed. The case was pretty empty but after looking at the menu up front we saw they were not sold out yet. We got our order to go just in case a seat would not open up. We got lucky and a seat opened up though. 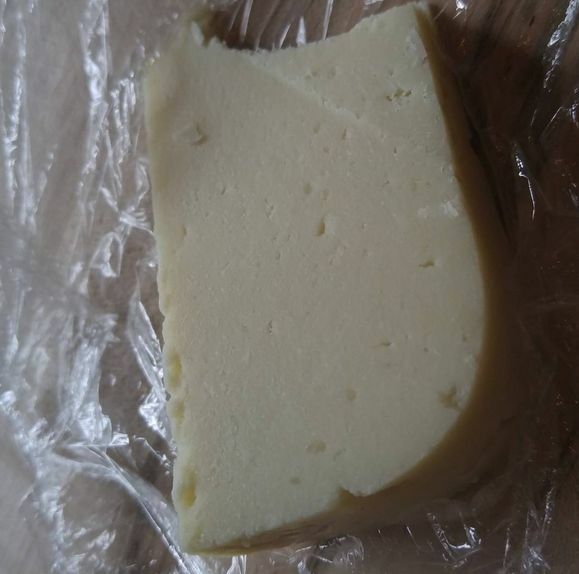 We both decided to try the Cotija cheeze so we bought a sample sized piece, I am not really a cheeze person but this was so good. Dry and salty and just perfect. We both decided on the Sriracha peppersteak sandwich with potato salad as our side. We heard my name called and Matt got up to get our order only to see someone else walk off with it. After telling them what happened they made our meal again. Ughh the wait! Photo courtesy of Matt - I was busy eating. The sandwich is so legit. It truly tastes like a deli sandwich and not some fast food chain mumbo jumbo. Seitan based steak, peppers, veggies, sauce and crusty (not hard) bread. Every bite is an explosion of flavors. The sandwich is huge - so come hungry or split one. The sandwich + side is like $11, which is not bad. We have paid the same for a sandwich that lacked 90% of what these bad dudes pack. The potato salad is really good too, it has a savory smokey flavor and a crunch on the potatoes. As we wrapped up our meal I saw someone with a cannoli and made Matt go get one. Growing up these were a staple at Christmas gatherings. My grandma would make them and an assortment of other Sicilian treats. I never cared for them as a kid - maybe because I was busy with all the other food. I have been nostalgic for good Sicilian/Italian pastry forever. 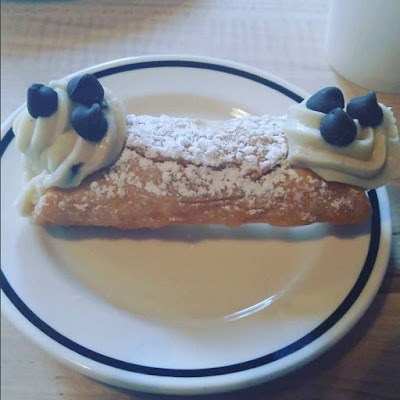 While the cannoli was good I do not think it was a cannoli. The shell was lacking crunch which was disappointing, it was more of a French pastry shell. Also the creamy center was missing that tang you get after the sweetness melts away. If they worked out the kinks I would eat more than one! Would it be too much to ask for a espresso machine too? 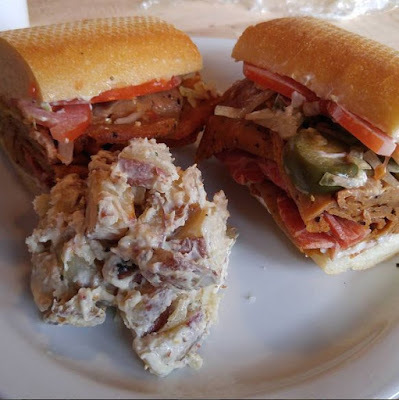 Go to The Butcher's Son and have one of the best sandwiches ever. From what I understand they are still working out hour-day kinks. Check online to see their current schedule and see what they are serving. They are located 1941 University Ave, Berkeley, Ca. 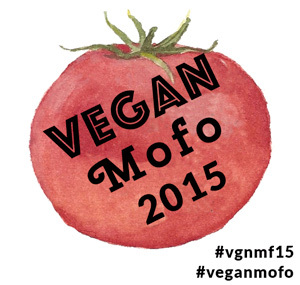 100% vegan and awesome! That place sounds awesome! I love a good sandwich and anywhere with interesting vegan cheeses is gonna make me happy.